Don’t be fooled, the Budapest Cafe Orchestra isn’t really an orchestra and isn’t from Budapest – just four spectacularly talented and entertaining musicians, who between them have accompanied such legends as Cleo Lane, Johnny Dankworth, Nigel Kennedy and Luciano Pavarotti. 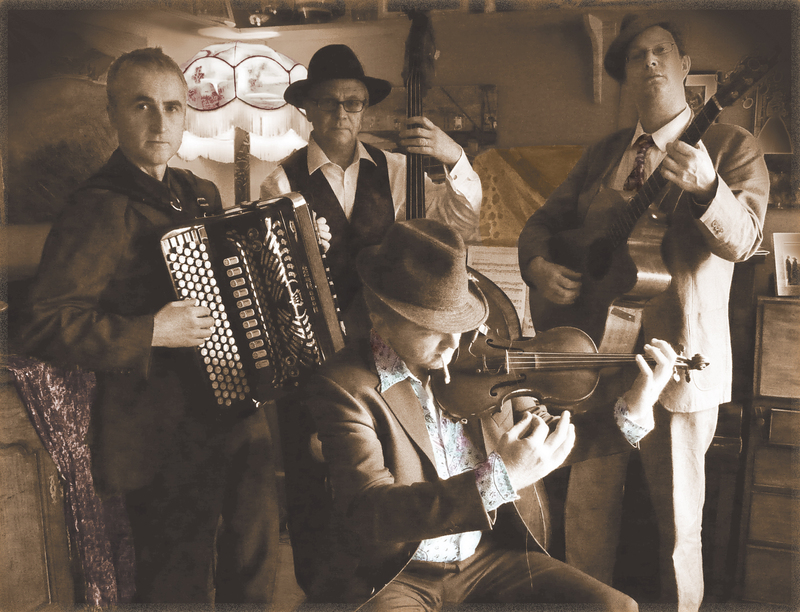 The amazing foursome, led by jazz violin superstar Christian Garrick, play Balkan, Jewish and Russian traditional gypsy and folk music. If ever there was a reason to venture out on a Spring evening, it’s provided by the Budapest Cafe Orchestra. So if you’ve been in hiding over the winter and you feel it’s now time to emerge, then this could be the night to do so! Prepare to be energised, and thoroughly entertained!